Going to the gym can be tedious. You have to get dressed, drive to the gym, and change into your workout clothes. The bigger a muscle is, the stronger it will be. However, you probably know of someone who is very strong but does not have large muscles. You should organize this notebook so that each day of training corresponds to a section of the notebook. 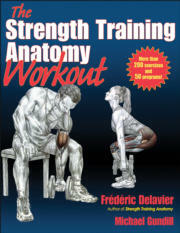 From the author of the best-selling book Strength Training Anatomy (over 1 million copies sold) comes The StrengthTraining Anatomy Workout. Highlighted by Delavier’s trademark illustrations and hundreds of full-color photos, this supplement offers 200-plus exercises and 50 programs for strength, power, sport performance, shaping, and toning.